I know I am getting little irregular in posting, it’s because I am working on sorting out something which consumes a major portion of my time these days. Anyways, did you see the upcoming flick Khoobsurat’s trailer? I loved Soonam in that. She looks effortlessly pretty. Though have never been a fan of hers but it seems things are changing and not to forget the dashing Fawad khan, whom I have admired a lot after watching ZGH. Loved that teleseries! Simple yet refreshing! 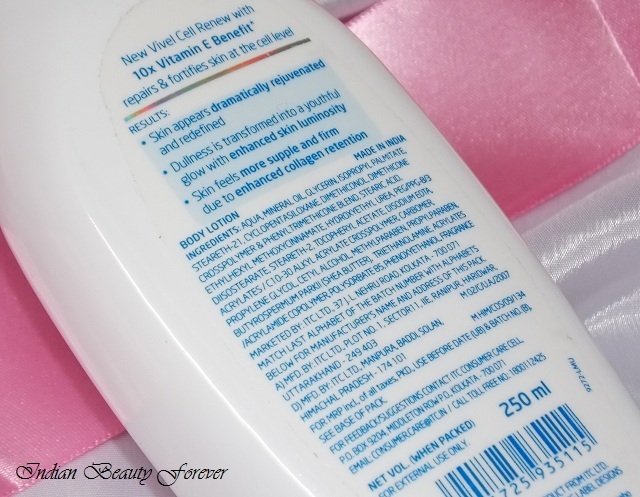 In this post, I will review Vivel Cell renew Body lotion. My skin is pretty normal therefore, I can’t use body butters as they will make my skin greasy and in summers, I really don’t want that. Though this Body lotion is something that can be extremely good for normal skin if not for very dry. I liked the packaging. It’s a pump pack and I find that tiny plastic piece at the neck of the pump very helpful as it prevents accidental leakage, making the bottle very travel friendly. By the way this 250 ml bottle is for 225 rupees. 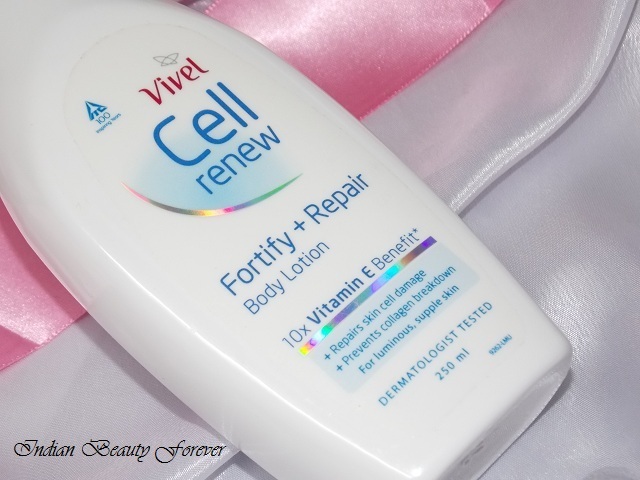 Claims “Vivel Cell Renew Fortify + Repair Body Lotion renews your skin cell by cell and is powered with 10 X Vitamin E benefits which performs a dual action of repair and fortification. Light formulation which has a quick absorption formula that works at a deep level without leaving any sticky residue. Its unique formula repairs the damaged skin cell barrier and replenishes lost nutrients. It fortifies your skins natural defenses against free radicals and other environmental factors. 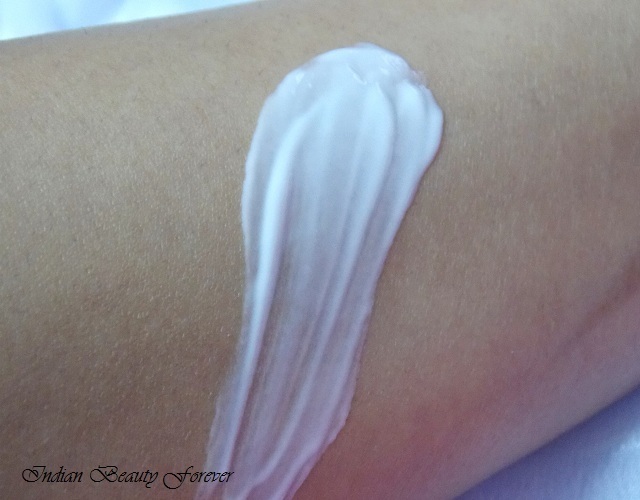 View: The body lotion has this mild subtle fragrance which lingers for some time. It gets absorbed after some massaging. I don’t need a lot of hydration for my body and need something that could just moisturize without making my skin greasy and should be light weight. This is exactly what this body lotion does. However, if you have extremely dry skin then it may not be able to give adequate hydration to the skin. Or you would have to reapply unlike the body butters that keep the skin nourished and moisturized throughout the day. Take: You can try Vivel cell renew body lotion if you don’t have very dry skin since it is non greasy and light weight moisturiser for normal skin. It’s a good to try Body lotion for summers. i so want to try vivel! Will start with this one!